Thanks to the continuous donations of "the godfathers and godmothers" - as peruvian families spontaneously dubbed our czech donators - Inka Endowment Fund has, over the 15 years of its existence, supported over 1 250 children and young adults in elementary schools and highschools of the high altitude mountain areas of Peru. We have supported talented children, active, with great enthusiasm for education and highschoolers with special interest in activities beneficial to their respective communities. The children were selected by foundation coordinators in Peru in collaboration with teachers, headmasters and town councils. 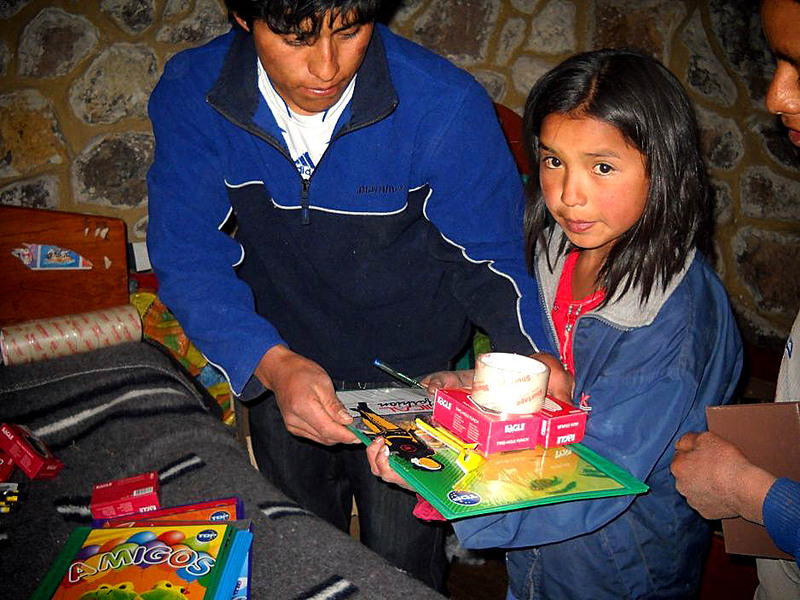 Taking into account current economical growth in Peru and growing selection of job offers even in high altitude mountain areas Inka EF gradually closes its individual student support programmes. Parents and native community councils themselves state that support for elemetary and highschool studies generally is not needed anymore. Parents or older siblings have been employed and families can now support the studies of their younger offspring, a fact they are proud of - some terminate their participation in the Sonqocha programme on their own. 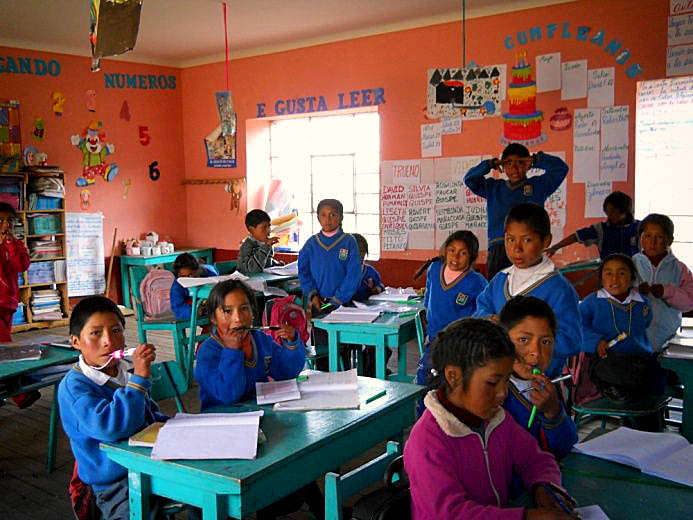 The situation is further improved by current peruvian national policies of increased spending for education in rural areas (school modernization, state-paid suplly of study materials and such). As of this year (2017) we are providing merit scholarships to approximately 70 individual highschool students within the Sonqocha project. Inka Endowment Fund currently focuses more intently on group education of active young adults in thematic courses that take place in foundation libraries or spaces reserved for us by towns and schools. Most those are preliminary university courses, dubbed 'academies', where students prepare for their university entrance examination. Academies involve topics like mathematics (lógico-matemática), working with computers, understanding of written prose and other. They are attended in abundance by not just highschool seniors hoping to continue their education at a university, but also by young people that would like to extend their knowledge of the respective course topic, for practical reasons or as a general horizon-broadening activity. We are really glad that students that took part in the Sonqocha programme are finding success in finding jobs and as a result of that are improving life conditions for their families and also supporting their younger sibilings in their studies. Family solidarity is a very present concept in the natives society. Many of our students succesfully pass entrance exams and study for various university degrees. Currently there are more than 60 of 'our' students studying at universities in Peru. Most of the young do not turn to us asking for help. Some we support for the first two years of their studies and living in a city for the first time in their lives, during which they find part-time jobs and become able to cover their expenses on their own. Many students use a small foundation center in Cuzco, containing a library stocked with college education in mind, a broad selection of expert books, computers with internet connection, notebook with projector to borrow and bunk beds to crash on in case of long night time study sessions. Older students help newcomers find their way around the university and the city. Peruvian coordinators organize regular meetings and extra-curricular lectures on varied topics including ways of studying effectively, technical journals processing for study assignments, field research methodology and report creation, thesis writing and so on. Some of our scholarship recipients have already finished their studies and are now working as a doctors, dentists, teachers, leading their own businesses etc. We are especially proud of our former student and foundation coordinator Valerie, who is currently working at a district office, where she evaluates and manages implementation of development projects (water supply piping, sewage, sanitation facilities, school modernization). Another group of students formed a team that also handles development projects in the mountains. We are thankful for every gift that helps us cover expenses for education courses and university studies of young adults in Peru. We continue with our practical workshops for machine cut, sewing and weaving, which have been going on for more than 10 years. These are 'mobile' workshops, with machinery being moved from village to village after a period (generally 1 year) of time. 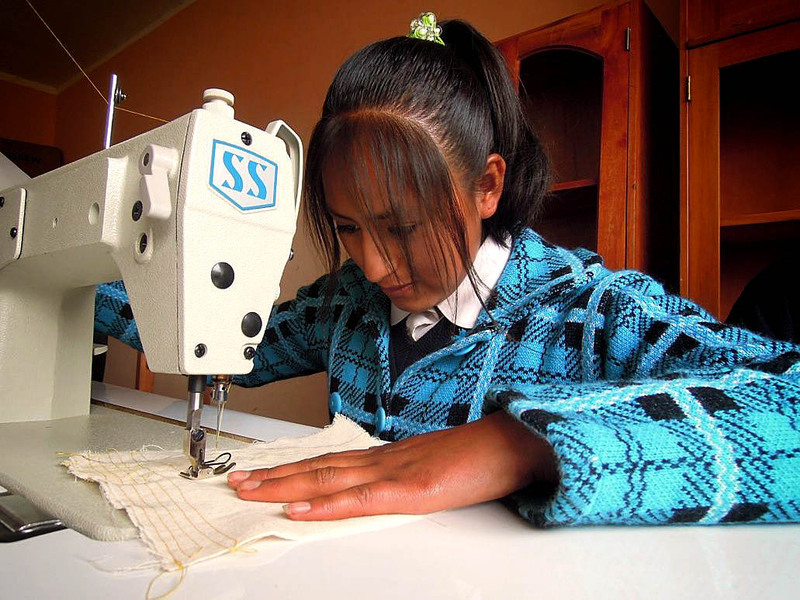 The foundation owns 13 'professional' sewing machines and 10 knitting machines. In the past courses have been held in the provinces of Yanaoca, Acopia, Livitaca and in the Chumbivilcas area. 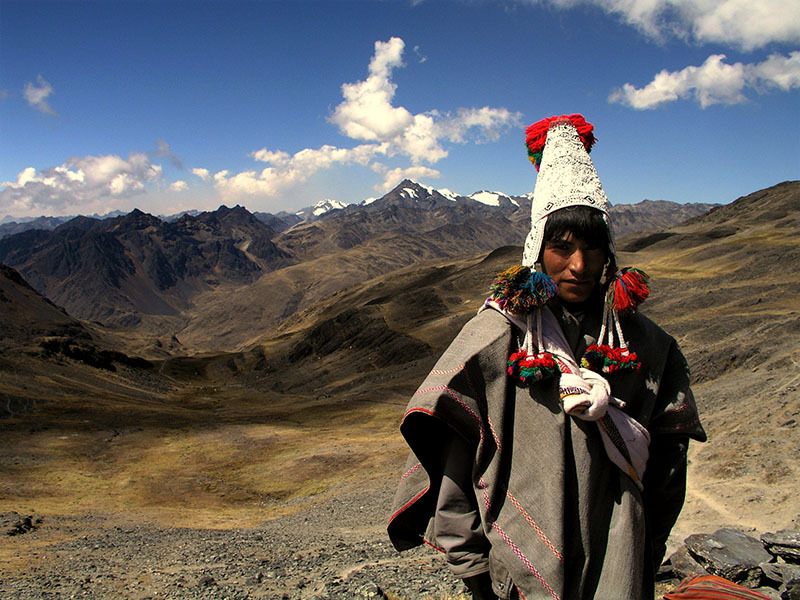 Currently (2017) workshops are located in two high altitude mountain village of the Paruro province. Courses are held twice or three times a day. Before noon and shortly after it they are attended by highschool seniors for practical education classes, later during the day then by adults from nearby villages. On evenings and weekends the machines are available to anyone who already knows how to operate them and can create as they need. Presently we have about a hundred of young women and men attending. Space for workshops is always provided by the town that has asked for them. The town also covers eletricity and area maintenance bills. 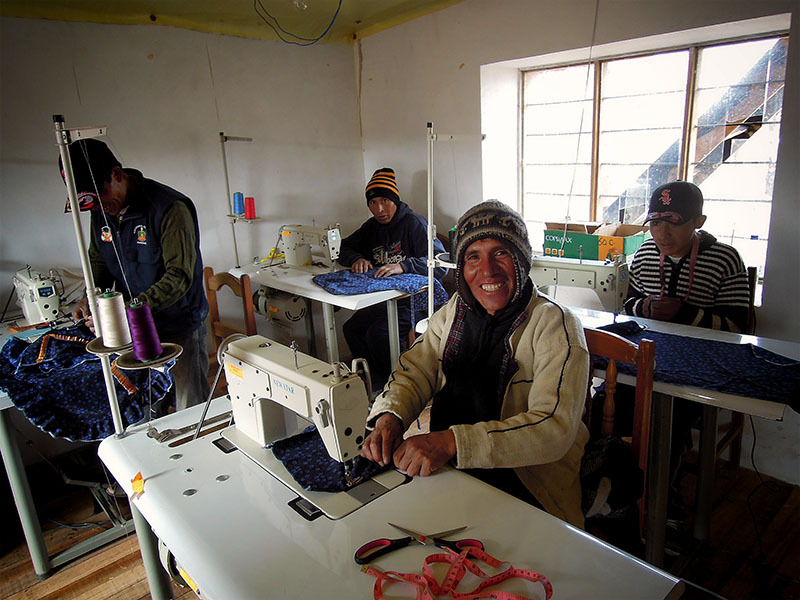 Inka EF provides machinery and educators wages (courses are taught in spanish and quechua). The foundation also covers 30% of the material costs, 70% is then payed for by the attendees. Textilia for their personal creations is of course brought in by the people.